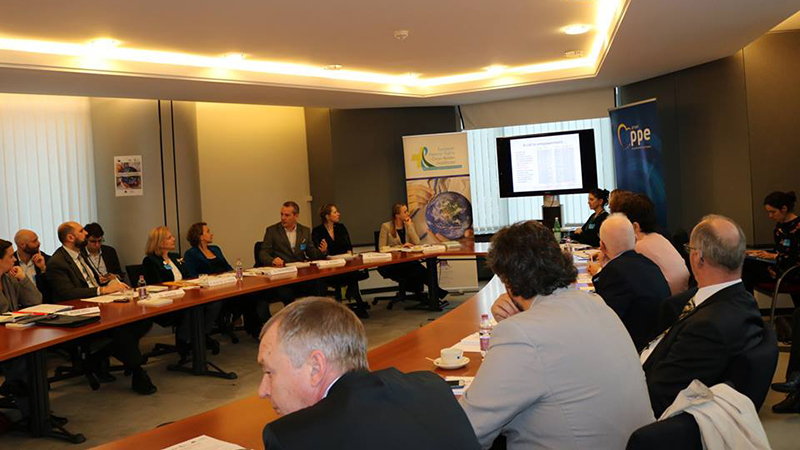 It has been be hosted by the MEP Sofia Ribeiro in the framework of the MEPs Interest Group “European Patients’ Rights & Cross-Border Healthcare” . The initiative consisted in selecting good practices and sharing them thanks to a European event focused on migraine and headache pain, taking into account the important innovations in the field of fight against pain. The "Charter of headache patients’ rights" dates back to the early 2000's, and it was written following the suggestions of the International Headache Society and the platform - established by Active Citizenship Network - that drafted the European Charter of Patients' Rights in 2002. Since then, what has been improved for headache patients? What are the best practices in medical practice? To what extent the commitment of the European Institutions in the fight against pain can help in improving the condition of headaches patients? Among the rights listed in the "Charter of headache patients’ rights ", what are the less respected? What recommendations, resulting from the collaboration between experienced patients and professionals, can be addressed to policy makers and relevant stakeholders? Thanks to the first edition of the EU project ”EU Civic Prize on Chronic Pain - Collecting good practices”, Active Citizenship Network, the European branch of the Italian NGO Cittadinanzattiva, gave evidence of existing good practices across European countries in terms of struggle against pain. Among them, several are related to headache. In particular, the winner for the category Patients’ Empowerment, awarded last June 8th 2017, is the Good Practice “At lessons from the expert patients: advices for the physicians to improve their care of cluster headache patients”, and this was the comment of the Jury Panel: “This work showed great innovation in gathering expert patients in four countries across Europe to assist health care practitioners in the management of Cluster Headaches. It is a very well thought out submission on an uncommon, but important, painful condition. It is good to see everyone working together to highlight this condition, which if recognised should improve the management of patients with this condition and improve their quality of life”. Just few days later, on June 16th 2017, the Council of the European Union on Employment, Social Policy, Health and Consumer Affairs adopted its conclusions on “Encouraging Member States-driven Voluntary Cooperation of Health Systems”. Under the leadership of the Maltese Presidency, the Health Ministers have agreed that it is time to evaluate access to treatment for patients with chronic pain, while recognising the need to maintain the balance between innovation, availability, accessibility and affordability. The aim is to increase the effectiveness, accessibility and resilience of health systems across the European Union, and to identify priority areas where cooperation between health systems may add value. This is a substantial step for pain patients. In general, to recognize the chronic pain on the European political agenda was certainly gratifying for all those who have worked to achieve this important result, but now what about next step? Our commitment could be to translate this achievement from the European agenda to the European culture: to raise awareness, fight stigma, to improve quality life for people suffering for acute, severe, chronic pain, to reduce the socio-economic impact of chronic pain in Europe by ensuring that the right to avoid unnecessary suffering is guaranteed everywhere and to everyone. Cittadinanzattiva Onlus and its European branch Active Citizenship Network (ACN), being deeply involved in the European and national debate on patients' rights against unnecessary and useless pain, welcomes the EU Institutions’ commitment to tackle the issue of pain therapy, and this initiative contributes to the agenda and content setting with this regard. Many of chronic pain patients suffer from one of the 17 types of headaches. Indeed, headache affects 12% of the world's population, 41 million people in Europe, 6 million people only in Italy, 2/3 of whom are women. to explore recent achievements and good practices across Europe, also outside EU Member States, on the management of some primary headaches, in particular migraine and cluster headaches. to demonstrate what this community can offer in terms of raise awareness about the phenomenon, enhance the body of knowledge of positive cases and success, and strengthen commitment to this topic. to promote a first civic assessment on the management on headache pain, it means an assessment that starts from a citizens and patients perspective. Immediately after the Conclusions of the Council of the European Union, the initiative, focused on headache, testifies a concrete example to transfer the recent achievement on chronic pain from the European political agenda to the EU culture, and so it can be considered extremely in line with the goals of the EU Institutions and the constituency on pain across Europe.